Welcome to Tri-State Stairlifts, located in Huntington Valley, PA, serving the Philadelphia metro area (Bucks County, Montgomery County, Chester and Delaware Counties, New Jersey and Delaware.) 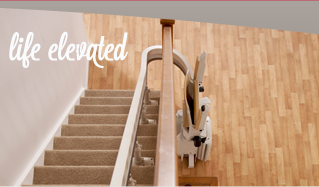 We offer an affordable home stairlift (stair glide) modification solution for your home health care needs. 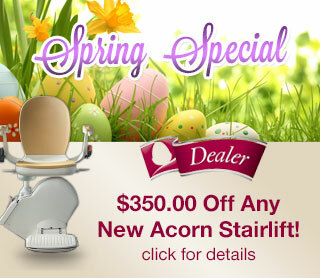 We have a full range of Acorn stairlifts and accessories to give you confidence. Tri-State Stairlifts is a full service sales and rental company with Acorn stairlifts (chair lifts) in Huntington Valley, PA. Heavy Duty Stairlift: 4″ wider and holds up to 50 pounds more!